If you're a Buff Dude (or Grrrl), chances are you love Tacos. And like any good Buff Dude, you probably like eating A LOT of tacos. Although usually packed with healthy ingredients like chicken, lettuce and tomatoes usually the shell is deep fried and loaded with carbs and fat. But what if we told you it didn't have to be that way? 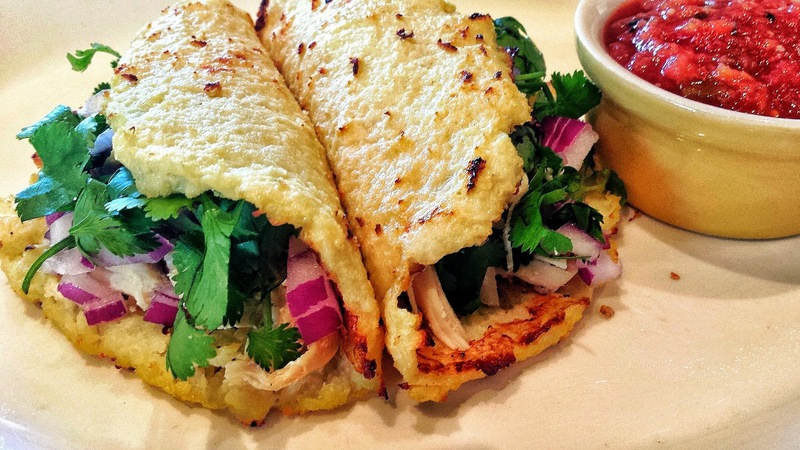 Enter the Cauliflower shell taco. Some call it magic, we call it Buff Dudes approved. 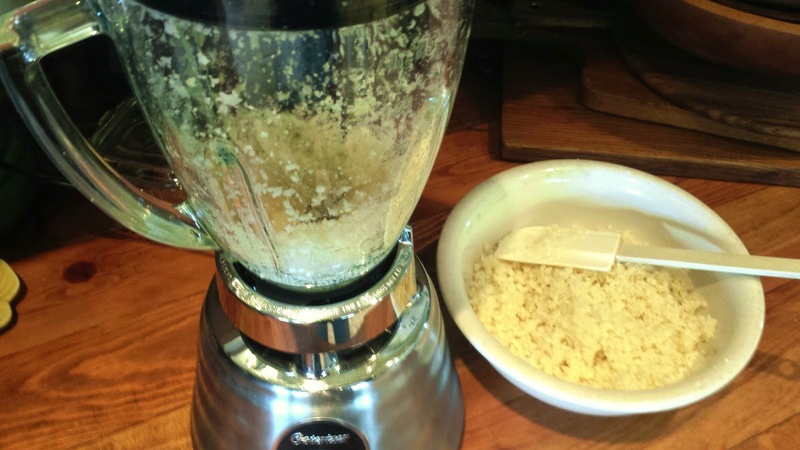 Cut up the cauliflower and using a blender or food processor go ahead and grate up all the cauliflower into crumbs. 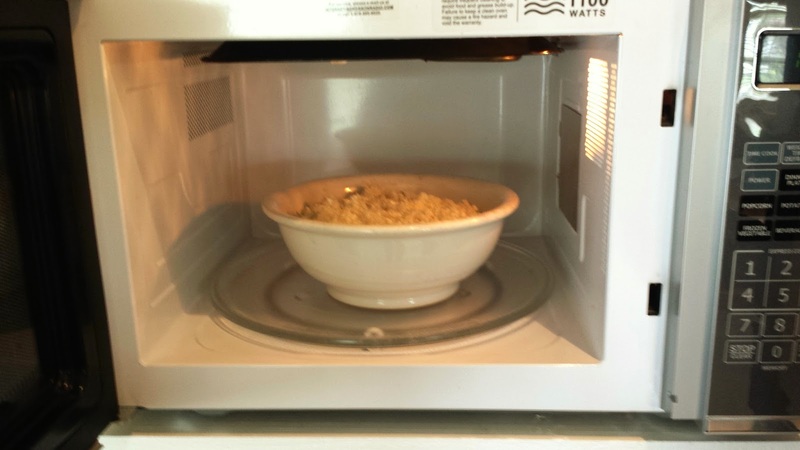 (if using a blender, it works best to do a little at a time) Put it into a microwave safe bowl and microwave it for 3 minutes, stir it, and then microwave for 3 more minutes. 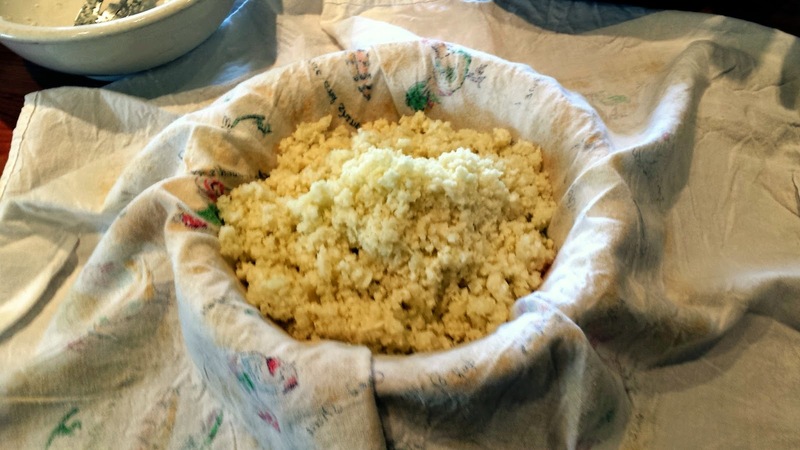 Put a kitchen towel or cheese cloth over a clean bowl and pour cooked cauliflower into it. CAUTION, it will be steaming hot. Let it set for several minutes. 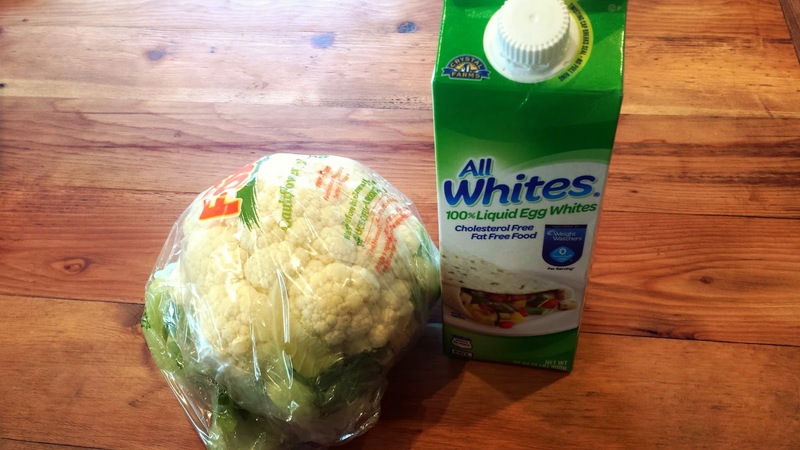 Pull your towel up and start twisting it in order to squeeze all the water out of your cooked cauliflower. 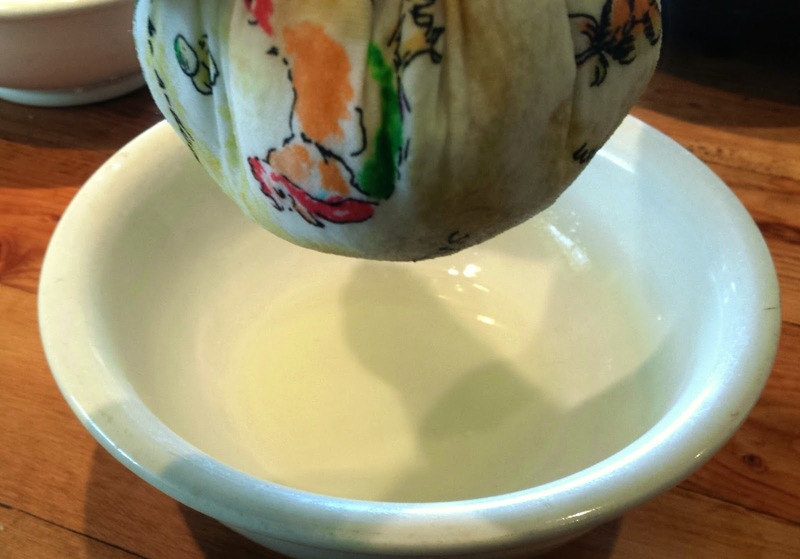 Remove the water and pour the dried crumbs back into your bowl and add your eggs or egg whites. 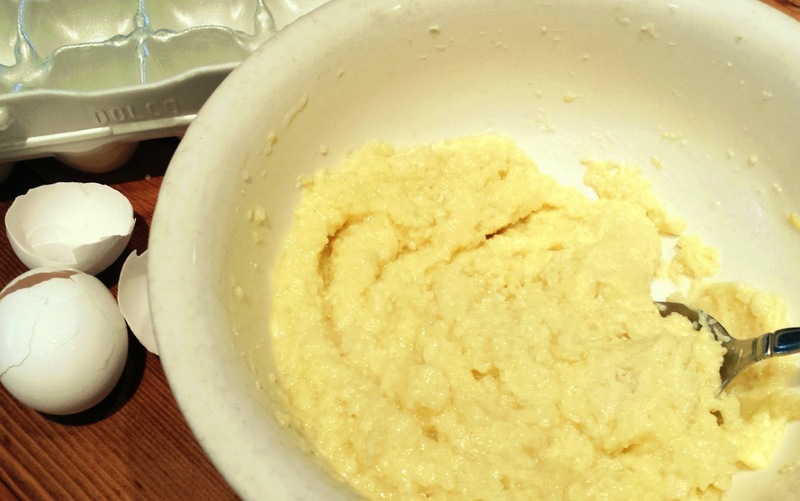 Stir thoroughly to make a paste. Lightly spray your pan. 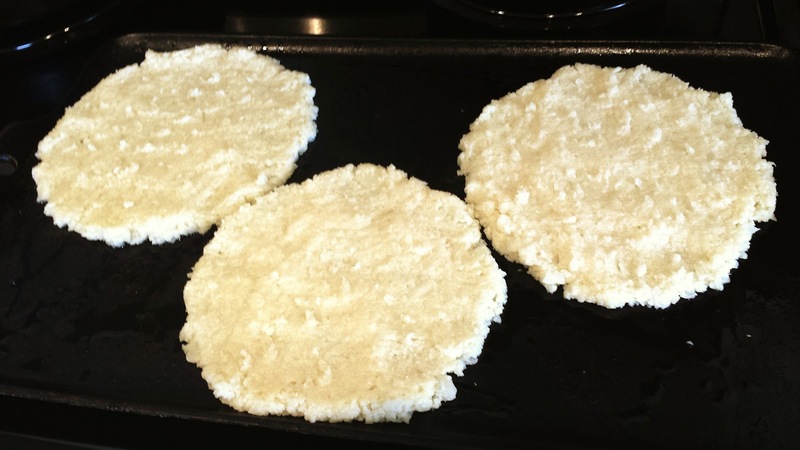 Spread your cauliflower into circles, taco size. Bake at 400 degrees 10 minutes. 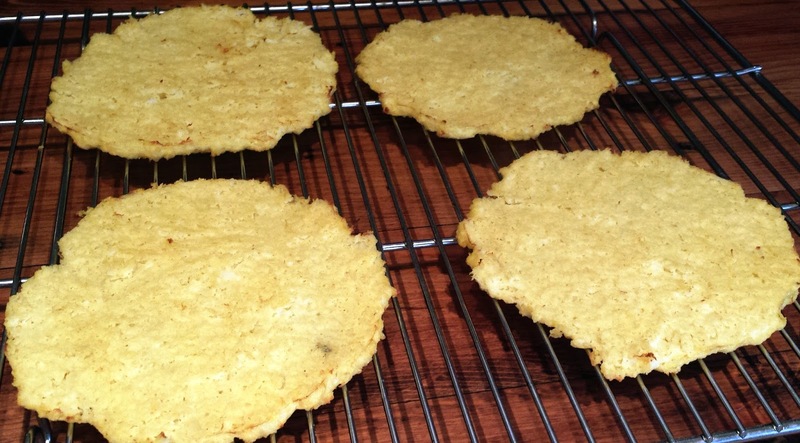 Flip and bake additional 6 to 8 minutes. Carefully remove and cool on rack. Top with your favorites. We made Shredded chicken and diced up red onion and cilantro with our homemade salsa on the side. Looking for a great Shredded Chicken idea? That's another recipe coming up! 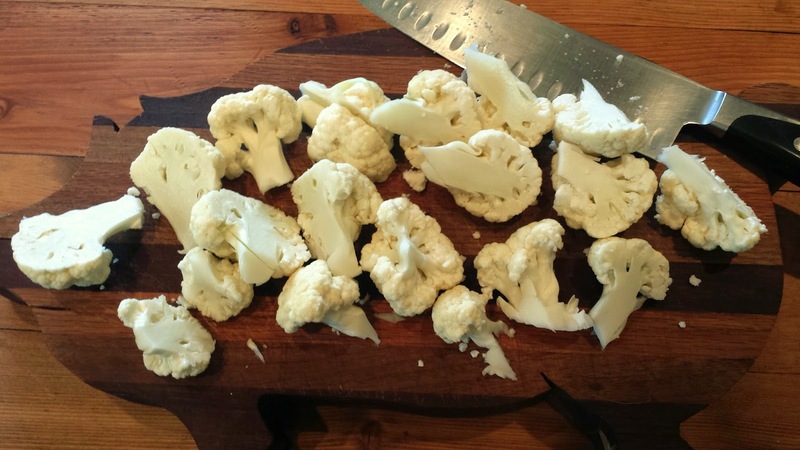 We had a medium head of cauliflower, and it made three shells. Another made four. That gives you an idea of what to expect.